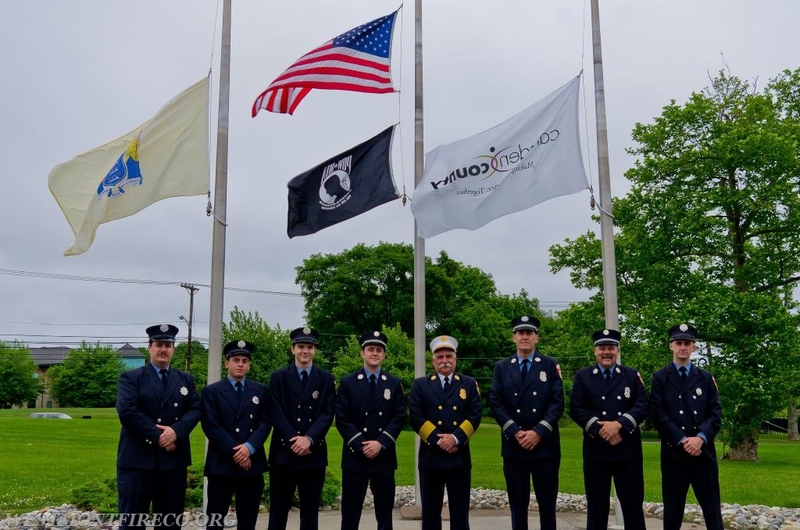 On Wednesday May 30th, Members of the Westmont Fire Company attended the 41st Annual Camden County Firefighters Memorial Service at the Emergency Services Training Academy in Lakeland. Captain John Young, Lieutenant Matt Medes, Firefighter Jeff Riley and Firefighter Brad Medes received a Unit Citation along with members of Squad 16 (Collingswood FD) for the rescue of a trapped occupant from a dwelling fire in Collingswood on November 3rd. We would like to commend all recipients on awards and citations they received.